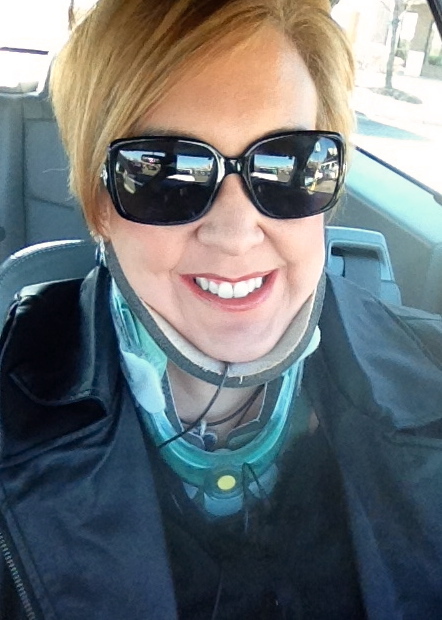 There is a chance that I can avoid further surgery if I behave, and stay in the brace. The bad news: My neck is still crap. If this doesn’t work- (We’re giving it until June.) Then, I’ll need to have a Posterior fusion- which has a much more painful/ potentially lengthy-recovery. So this is where we are. And God is with me, even here. I know it- and believe it, even when I don’t feel it. This week the brace has challenged me in more ways than just physically. I’ve been struggling with condemnation. Not of others- (for a change) but condemnation of myself. Last week after my shoveling tantrum.. I kept saying things like: “I hate myself for doing this.” “I can’t tell you how much I hate myself right now.” “I am such an idiot.” “How could I be so stupid?” “Will I ever learn?” I’d like to say I didn’t mean them. But- I did. In those moments. I was angry and afraid and in pain. A lot of pain. Here’s the thing- In January- I prayed and chose words to focus on for this year….I chose “Mercy” And “Rescue.” (Click the link to read about my choice.) I thought this focus was going to lead me on a journey to being more merciful to others….. and I still believe it will. But- when I think about all the ways I have been unmerciful and ugly to myself lately… I wonder…. how can I love others as my self if I’m constantly being hateful to myself? The truth is— I would never say any of the things I said to myself last week, (Or a thousand other weeks- my self talk can be pretty ugly) to others. Today, As I get ready for a very busy, complicated and physically challenging week- I know this…..I can’t spend my time and energy looking back and being angry for why I am here. (Well- let’s face it- I can’t exactly look BACK or even to the side at the moment;) Maybe that’s the point. Maybe I have been spending too much time looking back. Maybe- it’s time to look forward. So- that’s what I’m doing. Even here. In the neck brace of doom, again. Lord Jesus- forgive me for being so ugly to the one you love so much. Forgive me for all the time I’ve wasted- looking back with anger and frustration at all the mistakes and bad choices I’ve made. Forgive me for judging myself so harshly when you offer mercy and rescue and love. Lord- thank you for this time in this brace. Help me learn to look straight ahead. Where you are leading. Help me not turn to the right or the left— but to follow you. I love you lord- and praise you- even here. amen. God has blessed you with perspective and perseverance. You inspire me to get over myself with my aches and pains and focus on the things in life that matter, knowing that God will lead me through.